"This is Nikkita. 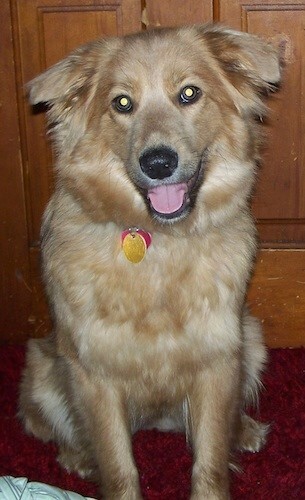 She is a Collie / Chow / Shepherd mix. Her life expectancy is about 14 years. She is athletic, has great speed and loves the out doors. She loves other dogs and does not like being confined to one room. She does good on staying close except on walks, then she likes to wander. She does very well around kids and loves walks and attention. She hates being in crates, trains easily and eats pretty much anything."